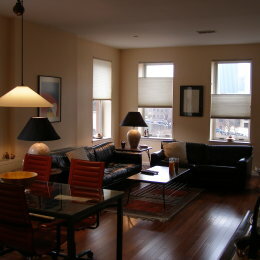 If you are going to be in NYC for a short visit and be close to downtown Manhattan yet want to have the "home" feeling then this amazing 800 square feet (75 square-metres) loft in Brooklyn Heights (a historic neighborhood with tree-lined streets and 19th century brownstone houses) would be perfect for you! ALL ONE (1) STOP from Manhattan downtown, ensuring you to have a quick and easy commute to all New York City attractions. The loft is also just steps away from the "Promenade", and a short walk to Brooklyn Bridge, and the famous Grimaldi's Pizza! Freshly renovated with hardwood floor, high ceilings, with multiple windows so, all the light you can ask for! The host Boris was very welcoming and showed me around the apartment. The place is very clean, newly renovated and filled with light. The open space setting gives it a distinct loft look, with unobtrusive separation between the sleeping and living areas. 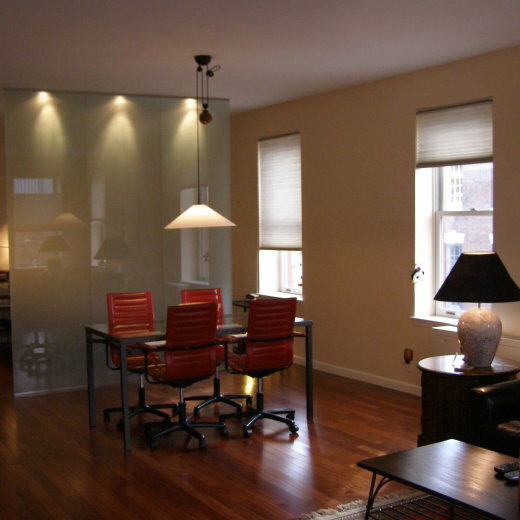 Location wise, it is steps from the Brooklyn bridge. On nice days you can use the Citi bike share program to pedal your way to Manhattan over the bridge, which was a nice surprise. Otherwise the subway is nearby as well and the neighborhood is charming. Boris was a very kind and accommodating host. Despite the short notice, he promptly got back to me and made the booking arrangements for me. I chose the "room" option (cheaper rate) and had almost as much privacy as I would have had if I had chosen the 'entire loft' option! He also gave great suggestions of what to visit and where to eat. Highly recommend it!